Dehydration: Like humans, dogs also experience cramps if there is lack of fluids in the body. Cramps caused due to dehydration is due to the low number of electrolytes and water in the body due to long hours of physical activities. These cramps can be got rid of by giving your pooch some water and massage in the affected limb. Poor diet: Your dog might have leg cramps due to poor or unbalanced diet. Deficiency of vitamins also causes cramps. Different vitamins B are essential nutrients that are very important for your pet. Lack of such vitamins can be the reason for the cramps. Other issues: There are conditions such as seizures in which there is no control over muscles, and it can be the possible cause for cramps. Also if your dog is unwell for a long time due to viral infection and toxins present in its bloodstream then also your pet suffer from leg cramps. Sometimes cramps can be due to some nerve impairment for which you need consult a vet as soon as possible. Leg cramps generally last from some minutes to some days. In some rare cases, it can last for a week. But if you notice your pet having trouble in walking for a longer period of time then you should consult your vet. Also, dogs generally have cramps in one leg at one time. Multiple leg cramps are very rare and if in any case, you notice such condition then it is best advised to see a vet. How to know if your dog is having leg cramps? 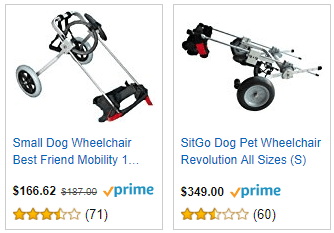 The dog has a problem with walking, sitting and the speed of walking is less than the usual. When dogs have cramps, they usually start limping which is an indicator of cramps. Most of the times cramps are only in one leg and the dog tries to walk with three limbs only. Dogs also become less active and lay down for a longer period of time if they are in pain due to cramps. They also become unresponsive and in some cases shows vocalization of pain while walking. All these signs indicate that your dog is having leg cramps. However, it is not necessary that your pet shows all symptoms. The most common characteristic that is observed is troubles while moving and limping. How to treat such leg cramps? Most of the times cramps last for some time only and are cured without any medications or therapy. But if your pet has just started showing one of the above-stated signs then you can stretch and massage the affected area gently. Ice packs are also recommended for curing cramps. Alternatively, heat therapy can also be used to increase the blood circulation which can ease the pain. Also, you should make sure your dog is having an adequate amount of water and proper diet. 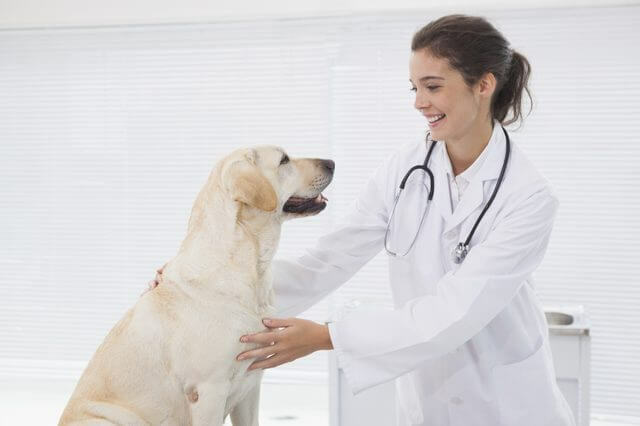 If in any cases none of the above-stated treatments work you should consult a vet. Generally, they prescribe anti-inflammatory drugs and muscle relaxant which helps to reduce the pain. 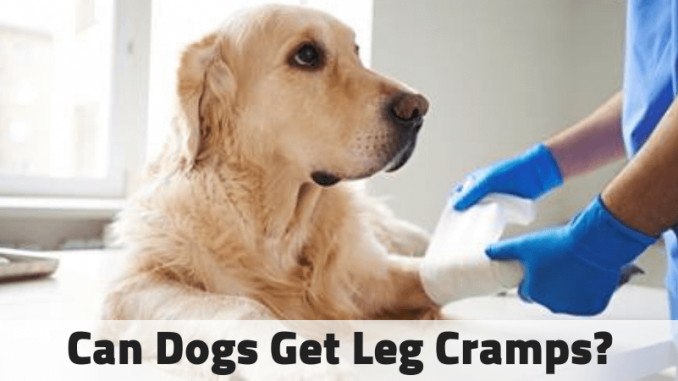 So YES your dog can have leg cramps due to one of the reasons given in this blog and it is important to see to it that they are fine and eating healthily. Make sure to check for signs and consult a vet before giving any medication to your little furry friends.